We have all seen the recent media stories about child abuse. Child abuse is one of those things that we don’t like to think about, something we don’t talk about very much and when we do, often we feel uncomfortable. But as we’ve seen time and again, that silence enables abuse. At BritMums we want to talk about it and break the silence. Consider the hurt child who cannot find anyone to listen to them. Consider the adult, who feels like a frightened child whenever the memories creep in. An adult who perhaps has never told anyone. How does it feel when a child speaks out and is not believed, possibly even by his or her own parents? How does it feel when an adult needs to talk, and feels scared of rejection, of not being believed, of the shame? 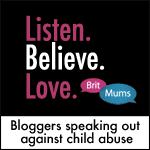 If you feel it’s time to break the silence and get the message out that children deserve to be listened to, believed and supported, please wear this badge on your blog. 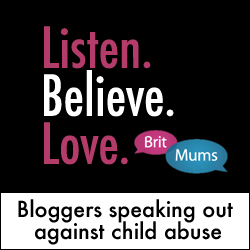 We know some BritMums members are blogging about their experiences and views. If you’re blogging about abuse, link your posts up below. If you know of a child who is at risk, are worried about one, or want to donate, visit NSPCC.org.uk. 125 x 125 Listen. Believe. Love. 150 x 150 Listen. Believe. Love. Kate Davis-Holmes is a writer and blogger. She is married with 3 children. After obtaining a law degree from Cambridge University, Kate spent 20 years working in local and national organisations. She has experience of project management. media relations, events organisation, advice-giving and the facilitation of learning groups. Kate’s interests include bargain-hunting, reading, travelling and cookery. She has a passion for helping good causes and seeing women get a fairer deal in society. Next Post November’s positively inspirational round-up – an eclectic mix! I’m so proud of Britmums taking up this issue. No one wants to think child abuse in any form happens, but it does. 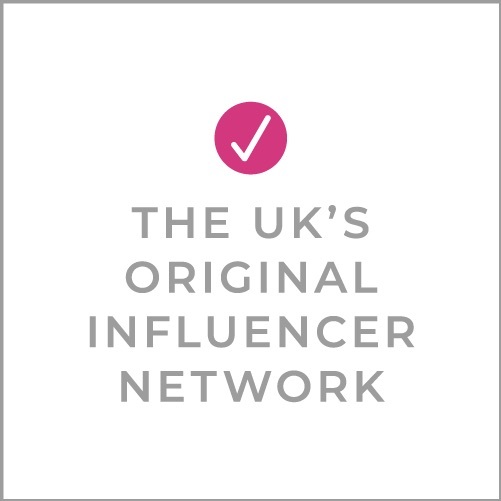 So thank you for giving us this badge and helping us use our voice. Pingback: Salt and Caramel » Not Just The Sweet Side of LifeListen. Believe. Love. Any I thought I’ll take some time to share with you guys about how my childhood abuse has affected my life, especially my adult relationships. I post regularly, about once a week and the blog is filled with humorous, insightful personal thoughts about my personal relationships. Warning though, it contains adult content. Have a read and let me know what you think on the site.